In the 1950s the Kirgiz were granted status as one of China's official minority groups. The name Kirgiz means "44 lasses." The Kirgiz believe they are descended from 44 maidens. The Kirgiz in China still retain their tribal identities. "To this day one can distinguish the following tribes: Kipchak, Naiman, Taiyit, Kaisaik, Chongbash, Qielik, Kuqu, Salu, Salbash, Mengduzi, Mengguldar, Ketay, Buwu, and Sayak." Kirgiz is a Turkic language. They used to have their own script, called the Yenisei script, until it was lost in the eighth century. No trace of it remains today. 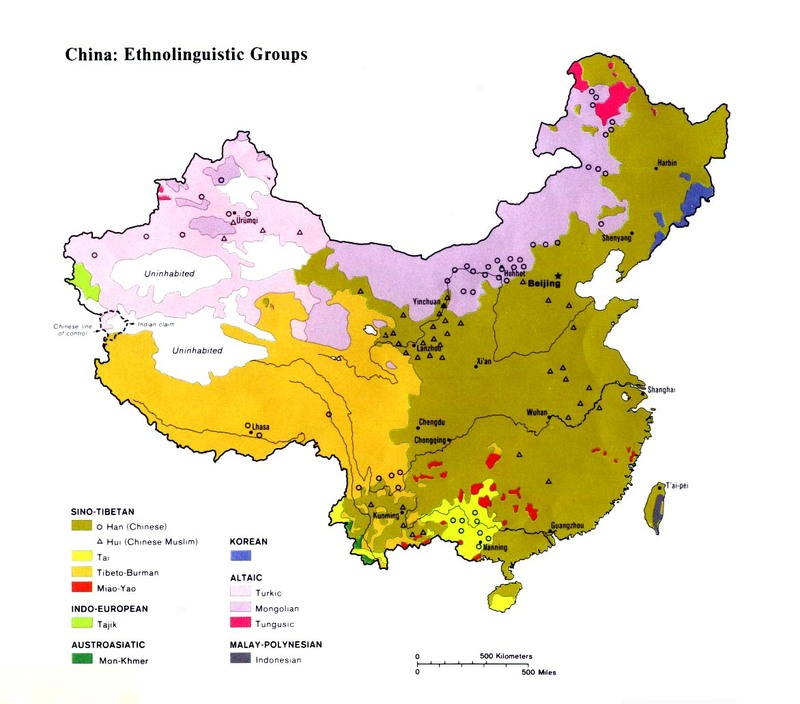 The Kirgiz language in China contains two dialects: Northern and Southern Kirgiz. Both dialects have the same vocabulary but employ different pronunciations. In AD 751 the Chinese armies were defeated by the Arabs in a significant battle at Talas, in what is now Kyrgyzstan. One historian wrote, "This encounter was one of the most fateful battles in history. It marked the end of Chinese control over Central Asia. It also marked the beginning of Arab conquest of Central Asia. Soon the area was permanently converted to Islam." By the early 830s the Kirgiz had clashed with the Uygurs for control of Central Asia and defeated them. In 1944 the Chinese Nationalist government ordered the closure of many Kirgiz pasture lands, under the pretext of "border security." The Kirgiz, outraged at losing their livelihood, formed a government that gave birth to the Puli Revolution. The Kirgiz have a famous epic, the Manas, that describes their past. The Manas is a virtual encyclopedia describing the customs, habits, and philosophies of the Kirgiz, as well as recording their struggle for independence and freedom. Most Kirgiz in China are involved with the production of carpets, horse gear, cloth, and wool. In reality - although they are outwardly Muslims - most Kirgiz follow a form of shamanism and black magic, where power through seductive signs and wonders is exerted. Demonstrations of this evil power are often aired on public television in Kyrgyzstan. The Snake god, in particular, is held in great fear. Swedish missionaries in Xinjiang listed 163 baptized believers by 1933, "mostly Uighers and Kirgiz, with some Chinese." In 1933 the missionaries were arrested and brought before Abdullah Khan, who "personally kicked and beat them. He threatened to kill them, claiming that their religious teaching was destroying the faith of many of his people." Most of the new Kirgiz believers were murdered. Those whose lives were spared were imprisoned for many years. There are just a few known believers among the Kirgiz in China today, although some ministries are focusing on them. Scripture Prayers for the Kyrgyz in China.